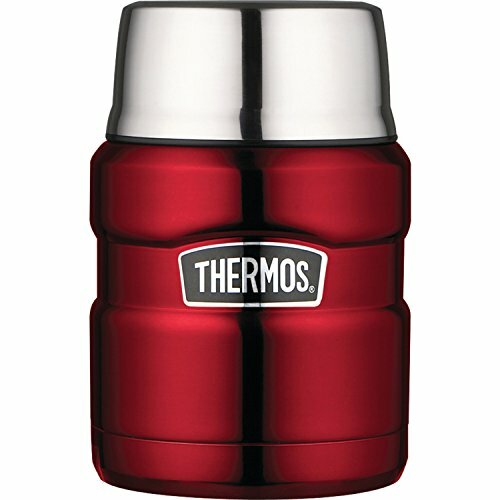 Keep drinks hot or cold for hours with the Thermos Stainless Steel Vacuum Insulated Food Jar (Cranberry Red). This 16-oz container features a durable stainless steel interior and exterior, making it ideal for outdoor activities, sporting events, picnics or lunches. As with all Thermos vessels, this container uses vacuum insulation technology for maximum temperature retention and includes a compact, insulated, stainless steel serving bowl that is ideal for soups and other hot foods.